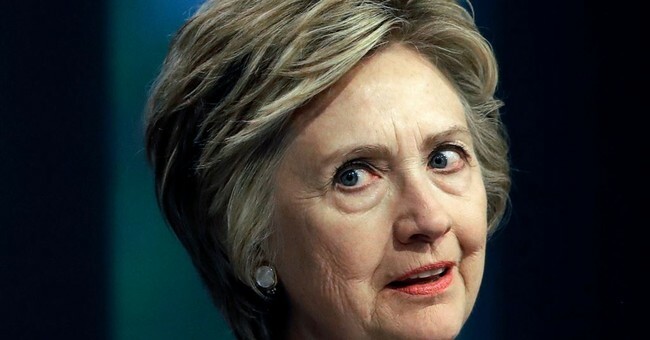 Government watchdog Judicial Watch has found a series of new emails belonging to former Democrat presidential candidate Hillary Clinton that contain classified information. They were stored on her unsecured server. Further, they show collusion between the Clinton Foundation and the State Department. Out of 281 pages of new emails, ten contain classified information and "appear to be among those that Clinton had attempted to delete or had otherwise failed to disclose." -A document labeled “plan” was completely redacted as classified. -A November 2012 email chain discusses the “Mid East” and includes then-Deputy Chief of Staff Jake Sullivan, Blair as “aclb” and Clinton. -Another November 2012 email chain discusses the “Mid East” and includes Sullivan, Clinton's office manager Claire Coleman, Blair and Clinton. -A November 2012 email chain fully redacted is titled “Mid East Peace” and includes Blair, Clinton, Obama’s -Special Envoy to the Middle East David Hale as “haledm2@state.gov,” Sullivan and Blair's Chief of Staff and former Downing Street aide Catherine Rimmer. -A May 2011 exchange concerns “Israel” and includes Blair, Clinton and Sullivan.